Can you take a Mercedes Benz SLS AMG, add a tunnel and a healthy portion of speed and drive it upside down? Yes, it is theoretically possible to drive a car upside down in a tunnel. An F1 car produces 1:1 weight to downforce ratio at 80 mph. This means it can theoretically cling upside down at that speed, but without much traction. At about 120 mph the ratio becomes 2:1 which means the force on the wheels will be equal to weight of a stationary car and there will be enough traction (provided the fuel supply etc. is made to function upside down). The ideal environment to do that would be in a perfectly cylindrical tunnel. 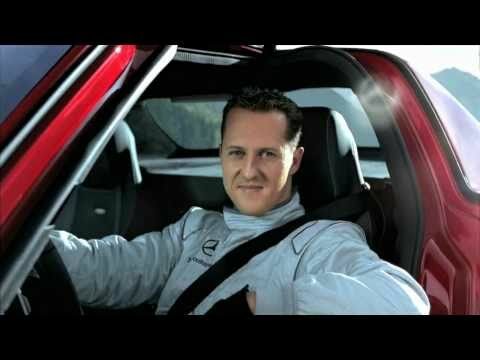 (We don't think that the tunnel in the Mercedes video would do the trick. - Flixxy Editor ;-) Here is a similar stunt by Top Gear. The Mercedes-Benz SLS AMG is a luxury grand tourer automobile developed by Mercedes-Benz AMG to replace the Mercedes-Benz SLR McLaren. The car is the first Mercedes automobile designed in-house by AMG and is described by Mercedes as a spiritual successor to the 300SL Gullwing. The vehicle was unveiled in 2009 Frankfurt Auto Show. Available in mid-2010 in Europe (MSRP of €177,310) and in the US in mid-2011.